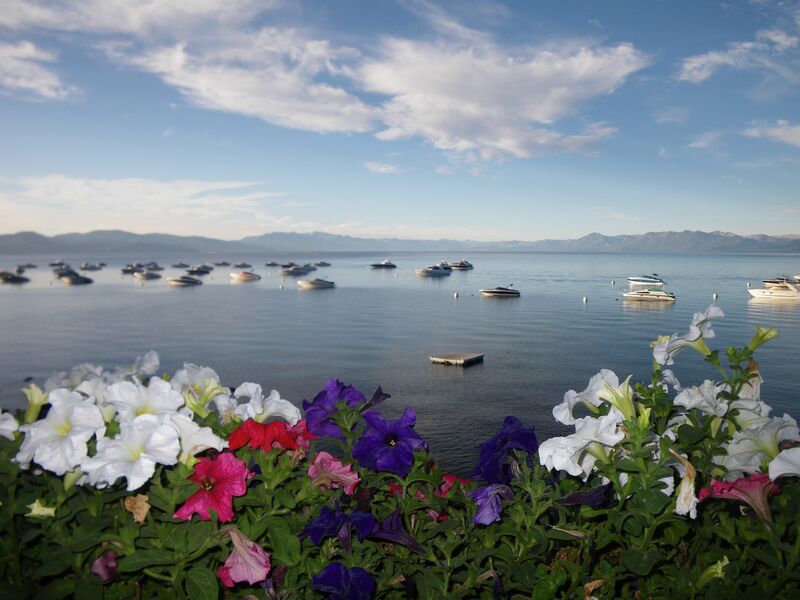 I spent much of my life living in Tahoe when I was competing in skiing and snowboarding. All of my family lives up here, so it’s always great to come and visit and get away from Southern Cal and relax in the mountains. 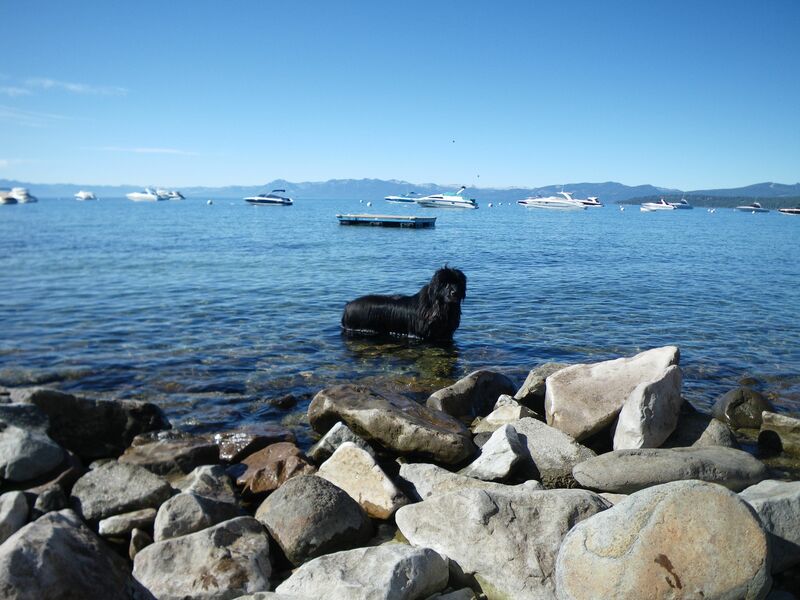 I always stay at my Mothers hotel “Holiday House” which is right on the lake in Tahoe Vista and is a great place to take your dog. 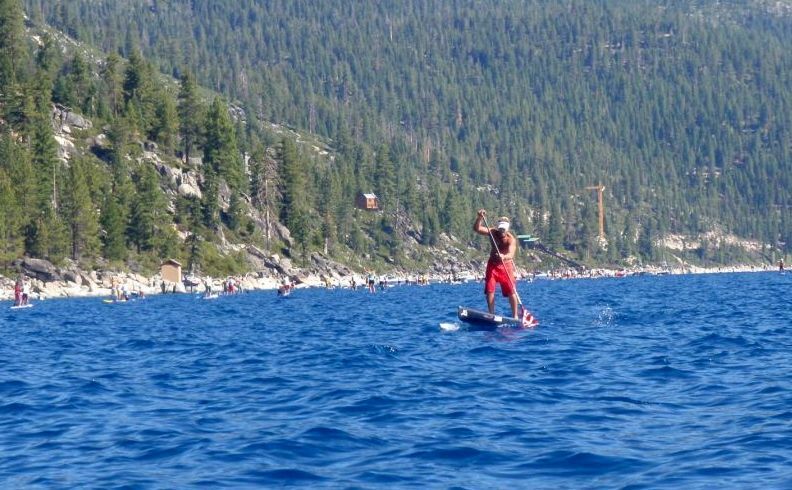 For the past 3 years there has been a really great SUP race on the lake and SUP paddlers from all over the West coast come to compete and enjoy the beauty of Lake Tahoe. 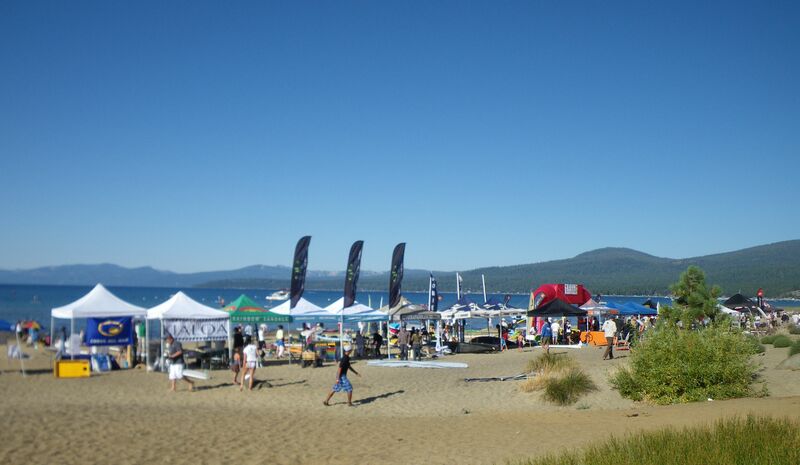 This years race was one of the biggest with about 150 paddlers and a cool set up on the beach where SUP industry companies had demo boards and paddles for all to try. 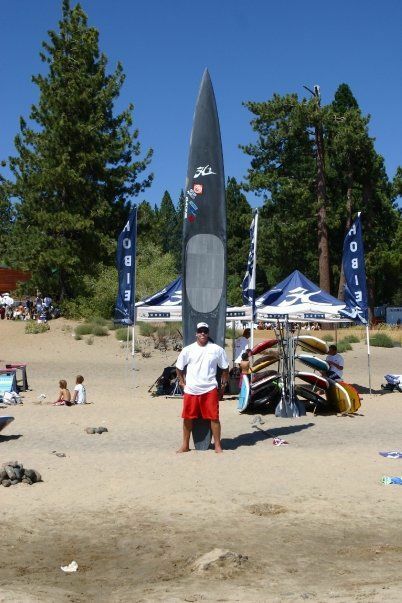 This years 7.5 mile race was kind of challenging because of the South East winds and boat wakes that made paddling and balancing on your race board a major chore. Competition this year was solid as I battled it out with my Team California outrigger team mate Thomas Shahinian the entire time. We traded places the whole time and then I managed to keep him behind me to the finish. Great race!! 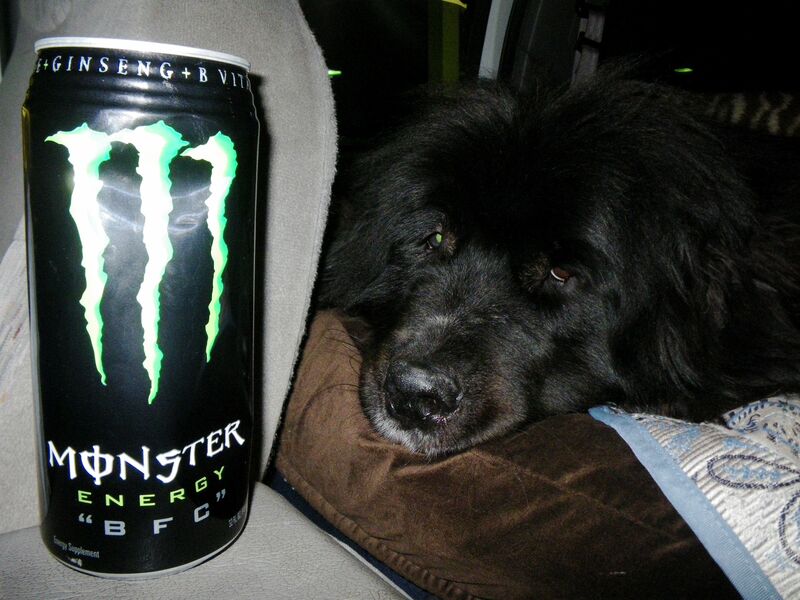 Drove up at 1 am with my dog "Wade" and my road soda that kept me buzzing till day light. Home sweet home at my mom's beautiful hotel "Holiday House". 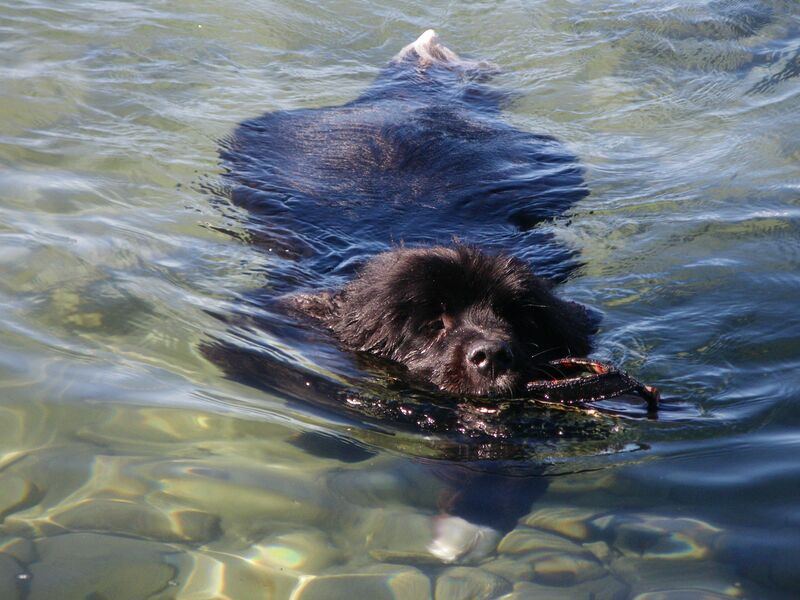 "Wade" was in the water all day long living in dog paradise. "Wade" loves to swim forever. 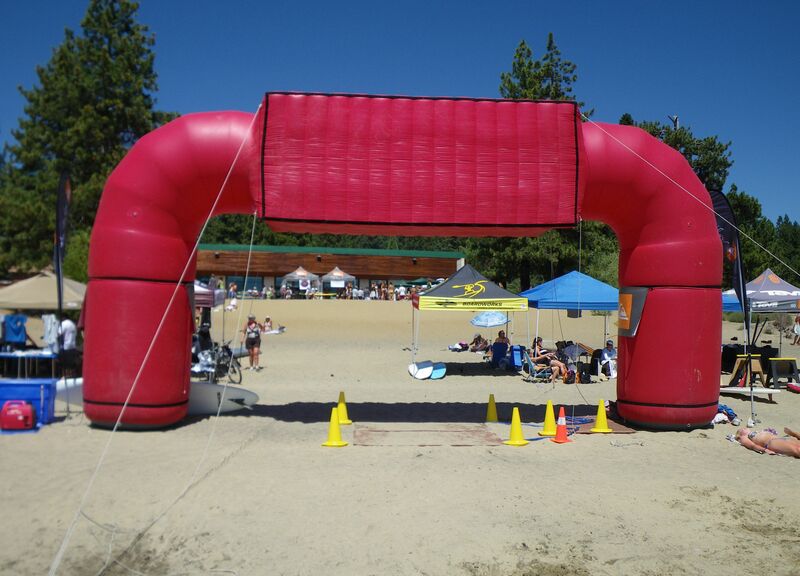 The finish line at the beach. Hanging with Thomas Shahinian and Jimmy Terrel. 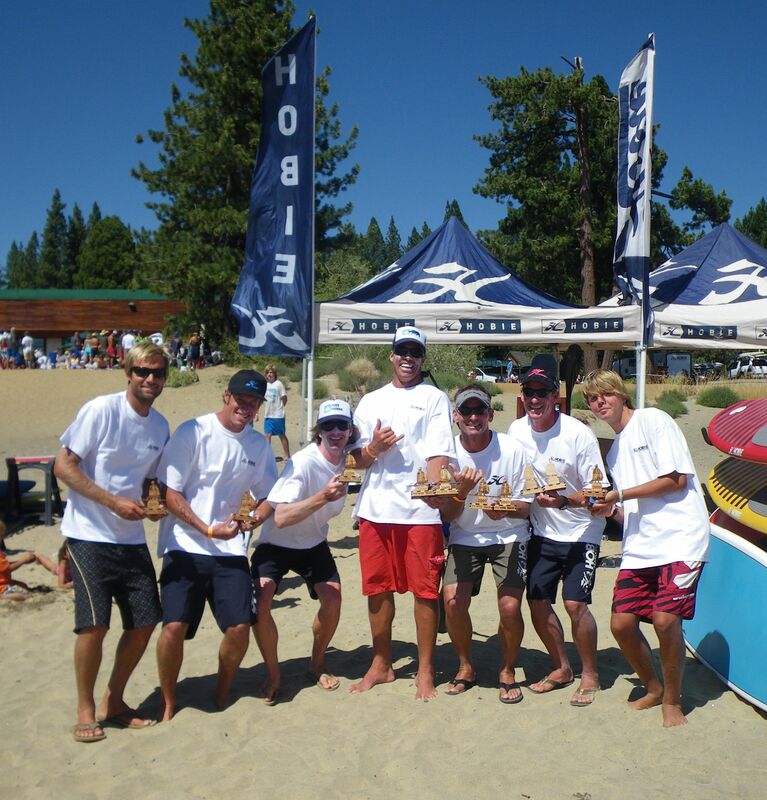 Team Hobie killed it in every category. Holding the lead in bumpy, choppy conditions around the point.